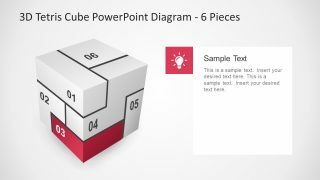 The outstanding slides of 6 Pieces 3D Tetris Cube PowerPoint Diagram with a creative display of six sections. The 3D cube diagram has an incredible set of cool colors and infographic to represent every segment. The connection of these segments as pieces of puzzle depict the interdependent processes. The extraordinary 3D template of Tetris highlights one section of with infographics and placeholders per slide. 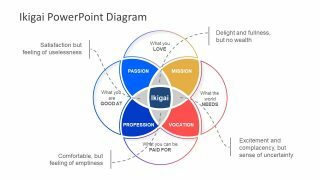 Therefore, the cool infographic icons help make sense of terminologies in this PowerPoint. The set of creative icons include, briefcase, magnifying glass, lightbulb, user, gear and computer screen. 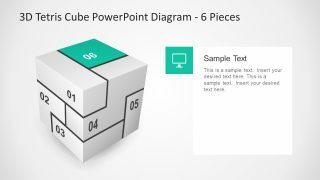 It is ideal PowerPoint for presenting 6 step diagram as cube. 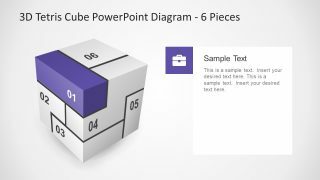 However, it can become quite confusing for the audience to view a concept on 6 sides of the cube. 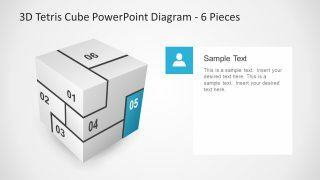 Therefore, a 3D diagram template enables them to six elements on only 3 faces of cubic slide. 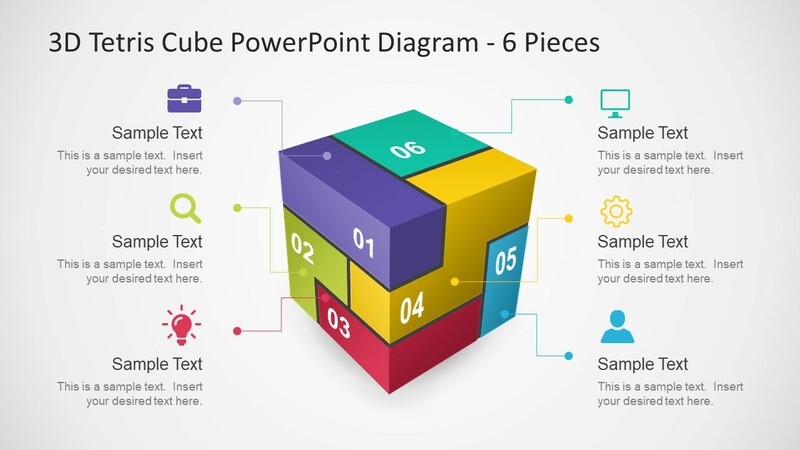 The 6 Pieces 3D Tetris Cube PowerPoint Diagram is useful business template. For example, display an innovative product design and its features, discuss a development strategy or demonstrate complex model. 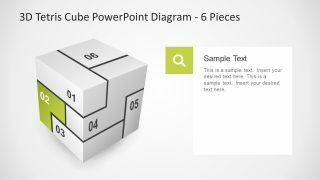 The editable PowerPoint of 6 pieces Tetris 3D cube assist users in quickly and effortlessly modify the design as necessary. Such as, changing the regular white background or creating a gradient effect on 6 sections. 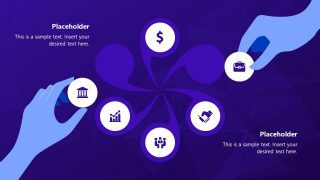 Additionally, users can customize given infographics, their colors in shape fill, size by drag and drop, replace etc. 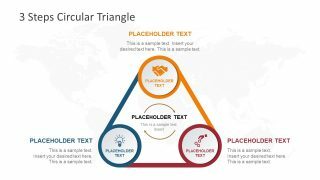 This template helps successfully convey precise message to the target audience with less textual content. Since, the graphics have higher impact and stay longer in memory. Also, associating the image such as infographic icons here, to a term is helpful in memorizing the concepts. 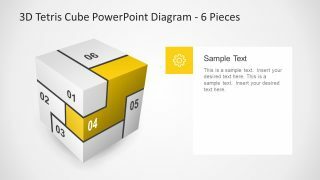 The amazing 3D PowerPoint diagram of 6 pieces Tetris show each section as blocks in the game. 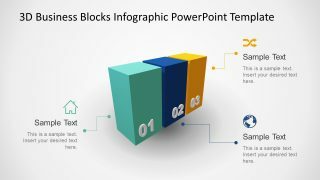 It is a variation of 4 Piece 3D Tetris PowerPoint Diagram available in premium gallery of SlideModel. Therefore, the template is more attractive and interactive at the same time.